The star prefers to play for La Liga side Las Palmas. According to reports in Spain, Silva has made verbal agreement with the club that if they retain their top flight status by then he would join them. 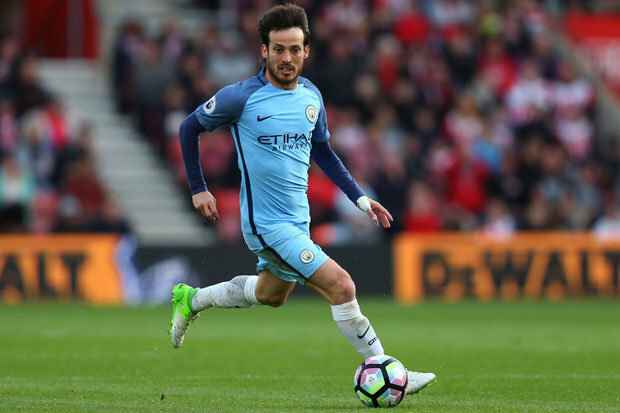 The player wants to return to his birthplace Gran Canaria when he leaves England - though he's still hoping to win another Premier League, with netbet.co.uk making Manchester City the second favourites for the title, behind just Chelsea. Silva would play the two more seasons before he joins the Islanders as his career winds down. He joined the club from Valencia back in 2010 and has built a cult following for his impressive display. He has racked up over 300 games for The Citizens. He has always wanted to see off his career at his hometown so Los Amarillos could have a top player in two years if they remain competitive. Silva can still contribute a lot to the City squad in the two years left. Pep Guardiola has effected a lot of changes this summer. The former Barcelona boss pushed out players age 30 and above, save a few. After spending £200 million+ this term, the Spaniard is expected to bring in titles this season. Guardiola finished outside the top two for the first time in a league since becoming a manager. The team started on a good note, winning their first ten games in all competitions before a run of inconsistent performances. The team is deemed strong enough to compete in the local tournaments and go beyond their Round of 16 exit in the Champions League last season. The highly paid manager seeks a young elite squad that plays dominant football to win all games possible. The demanding manager has a younger, hungrier side that is loyal to him. The former La Liga and German Bundesliga coach faces tough tasks in managing his defenders fitness, his newly joined wingbacks and his options upfront. The case of Alexis Sanchez joining is not over but the team is decent without the Chilean. The goalkeeper issue is another tricky one and the ability to handle counter attacks. There is so much promise but there are potential troubles ahead as well. A top four finish is in the horizon but anything less than a Premier League title win might not sate the teeming fans. The city rivals United have also reinforced strongly so Manchester derbies would be interesting to see this term. Jose Mourinho is also aiming for the league title – a competition he has more experience in and recent regular top performances compared to the Champions League – so it would be an epic season as Arsenal, Spurs and Chelsea chase on.